You shouldn’t judge a book by its cover. But you should definitely judge an Instagram by how well its pictures are edited. These days, more and more influencers are swapping out traditional filters for Instagram photo editors – some of which are so huge they have veritable communities of their own! Editing your Instagram pictures can be overwhelming at first. So many tinting options, whites, highlights – it’s all too much! Thankfully, there are a plethora of simple Instagram photo editors to help even the noobs. Read on what we use to edit our Instagram pictures, and how we take them from drab to Instagram worthy. I know your Iphone 8 takes photos Canon could only dream of. But that doesn’t mean you should skip editing your Instagram pictures. Even feature films have color correction! Editing your Instagram pictures isn’t just fun. It’s also key to your brand. A cohesive aesthetic is a big part of any influencer’s career. People come to your Instagram just to look at how you do things, so make sure your Instagram pictures are edited! Thankfully, editing Instagram pictures is nowhere near as hard as it used to be. Goodbye, filters! Whether you want to get creative, use a classic look, or want to save time, there’s something out there for everyone. Choosing the right Instagram photo editor for you is a decision that can take a bit of time. It seems like there are millions of these apps out there nowadays, and not all of them were created equal. Before we reveal our picks for the best Instagram photo editors, let’s get something straight: It’s totally okay to change. Sometimes things just don’t work out between you and a particular program. There’s no rule book that says you have to edit your Instagram pictures the same way everybody else does, and that includes the photo editor you use. Give a few different ones a try and see what works best for you. With that being said, there are some standouts in the world of editing for a reason. Read on to see our picks for the best Instagram photo editors to take your feed to the next level. VSCO was one of the first popular ways to edit Instagram pictures outside of the app itself that sprung up. It’s a tried and true classic in large part due to the thriving community within the VSCO app itself. You can edit your photos, tag locations, and even make friends with other users on it. VSCO is for the person who truly has no time. With 10 included filters, and a BUNCH more presets (seriously, it’s…a lot), VSCO can help your photos attain every Instagram-worthy look you could ever dream of. 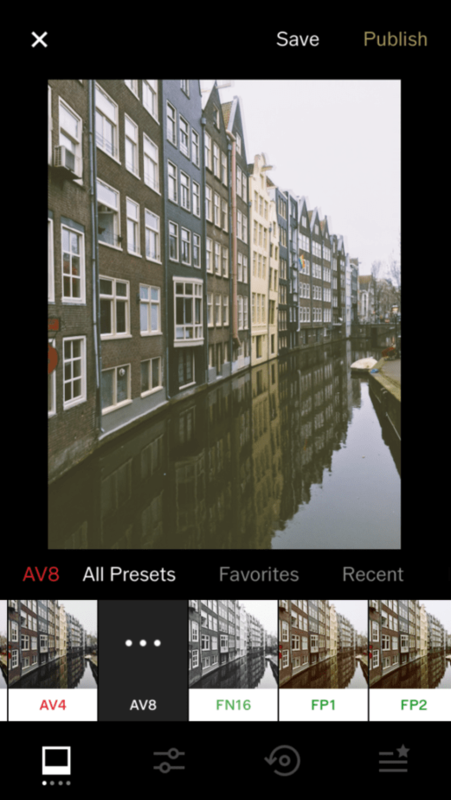 Unlike Instagram, you can also edit the strength and characteristics of the filters themselves. Drag any preset onto your photo until you find one you like. Don’t worry, though – you can also use the sliders for editing your Instagram pictures. VSCO is an option for a serious Instagrammer, however. After a week-long free trial, a VSCO membership will cost you $19.99 USD/year, or $1.67 a month. That’s a sweet deal for saving so much time! Get a week free trial here. Lightroom is fairly new on the Instagram scene. 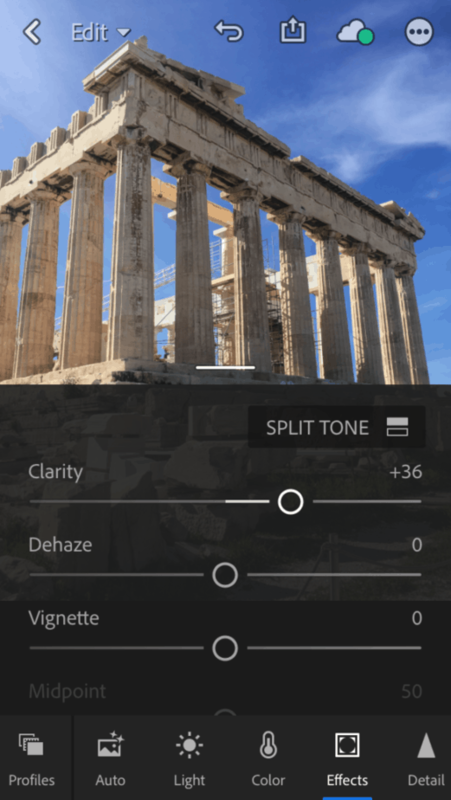 Although it’s been available as a tool for photographers from Adobe since 2007, it was only released as a free mobile app in the past few years. And we have to say – it’s done amazing. Lightroom offers a lot of advanced photo editing tools because, after all, it was literally made for professionals. While it might be overwhelming to people new to photo editing in general, it’s got enough bells and whistles that it’s worth learning. Lightroom allows you to change your photos as you see fit and even create your own presets. It’s extremely easy to share photos to Lightroom mobile from your camera and spread them across your devices. Lightroom also offers a fantastic organizational system for all your photos. The desktop app is much more advanced than the mobile version. If you create templates for your posts or stories, you might want to consider the desktop version. 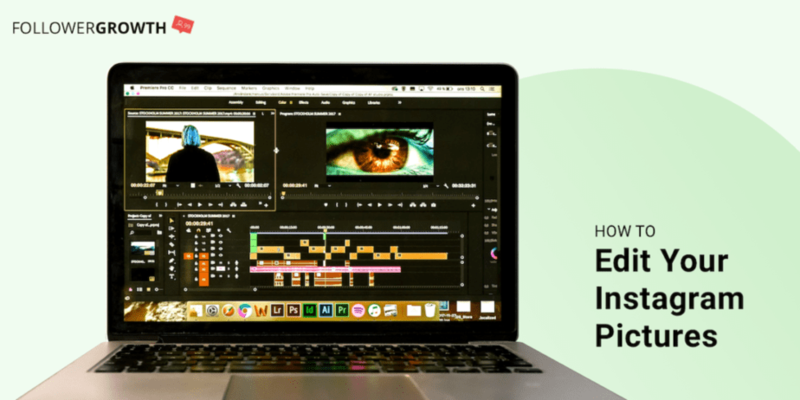 You can easily add it to any other Adobe membership plan for as low as $10/month. While it’s a step up from the others, it’s worth learning Lightroom. The mobile app is actually very straightforward, and it’s a great way to edit your Instagram pictures! Snapseed is a fantastic photo editor for Instagram users who want a fun but fast experience. 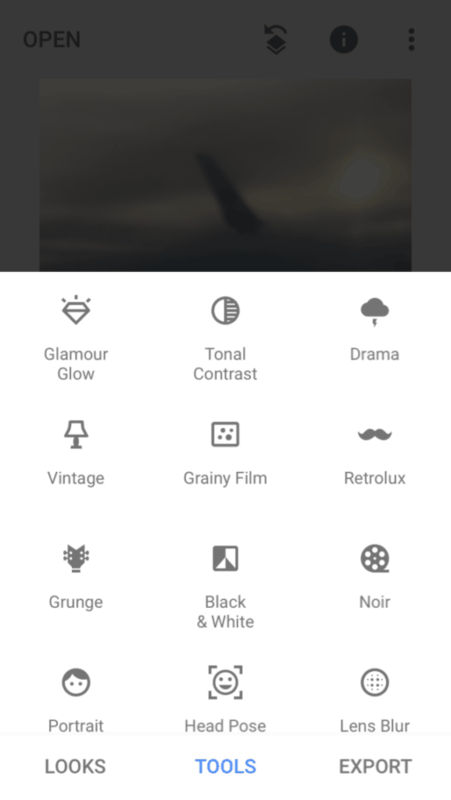 Not as involved as Lightroom but with more control than VSCO, Snapseed is a favorite for editing great Instagram pictures. Snapseed is super intuitive and user friendly. I myself used Snapseed for years before eventually making the switch to Lightroom after I got more comfortable with Adobe. There are no hidden filters – just slide and go. Snapseed offers the benefit of total control over your Instagram feed in a very user-friendly interface. You can get fancy with it if you want, but all the basics are right there in front of you. Snapseed is a great compromise if you’re overwhelmed by the choices Instagram photo editors have to offer, and aren’t quite ready to take on the ins and outs of a more complicated photo editor yet. Best of all, it’s free! You might have seen some trendy edited Instagram pictures springing up lately. That super cool selfie that looks like an oil painting is thanks to the Prisma photo editor. This trend has been gaining traction in the 1st half of 2019 and well – it’s pretty obvious why. Prisma’s super creative filters are totally unique. Prisma can change even the most mundane picture into a literal work of art. Their art style filters are a great way to spice up your Instagram feed. If you want to change a mundane selfie to a Frida Kahlo style portrait, go for it. They’re a fantastic way to bring some life and color to your feed. Although they’re definitely for the more adventurous of Instagrammers, we love the trend Prisma has brought about. Instagram is all about playing with images. Prisma is definitely the best Instagram photo editor for that! Editing your Instagram pictures is now easier than ever. There are plenty of great ways to edit your Instagram pictures, especially on a specialized Instagram photo editor app. VSCO offers a classic, easy look. Lightroom gets your Instagram pictures looking like they were shot professionally in minutes. Prisma is a great way to get creative on your Instagram, and Snapseed is a fun, fast way to polish up your photos. No matter which Instagram photo editor you choose, editing them will give them a consistent shine that makes your feed more appealing and inspiring. Don’t be afraid to experiment either. Just like a pair of shoes, sometimes it takes a while to find the right fit!